It's out today! I love this new Patriots Romance. Mack is a huge, tough guy with a gentle heart and Sariah really needs him. I hope you love it. 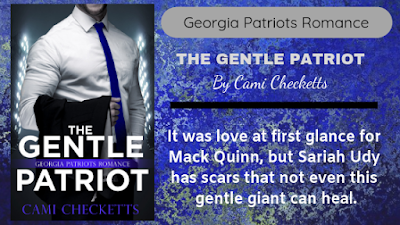 Find The Gentle Patriot on Amazon - FREE to KU readers.